On Friday, January 26 in Dubai (UAE), the United States Special Representative Kurt Volker and Russian presidential aide Vladislav Surkov once again met to synchronize their watches. This is the fourth round of talks since Volker has been appointed the United States Special Representative for Ukraine Negotiations. But there has been no progress yet. Russia does not agree to the Ukrainian version of the UN peacekeeping mission, which can finally bring the long-awaited peace to Donbas. There is not much hope that Moscow will make concessions, before the presidential elections in Russia, which will be held on March 18. But after the elections, Kurt Volker sees a small window of opportunity. For three days prior to the talks with Surkov, Volker met with the President, parliamentarians and Ukrainian military in Kyiv. He also met with representatives of the opposition, who presented him their vision of the peaceful settlement in Donbas. According to one of the leaders of the Opposition bloc, deputy head of the Opposition Bloc faction in the Parliament, Serhiy Lovochkin, who before met with the predecessor of Volker Victoria Nuland (Assistant Secretary of State under John Kerry), Volker and Surkov are now negotiating the сontent of the Road map – a step-by- step implementation of the Minsk agreements. It is recalled that the leaders of the Normandy format agreed to draft and implement it a year and a half ago. In his interview with “Segodnya”, Serhiy Lovochkin speaks about: how Russia’s policy will change after March 18, who is better - Volker or Nuland, – and why the law on reintegration was actually enacted. – Yesterday evening (January 24 – Aut.) in Twitter, Kurt Volker unexpectedly posted a photo with you and Yuriy Boyko. What were they talking about? – Volker’s mission is Ukraine’s great hope for the speedy achievement of peace. The success of his talks with Surkov depends on the progress in the implementation of the Minsk agreements, the creation of a new Road map for a peaceful settlement and its implementation. Volker understands very deeply the problems that Ukraine is ffacinges, and is very motivated to succeed in his mission. For our part, we tried to give as many ideas and details as possible, which could help to achieve the result. – These were more fragments and additions to his plan – a possible Road map. – Did Volker say what he was going to talk about with Surkov? – I am sure that the main thing now is not a detailed coverage of the negotiations, but real progress, a compromise. This is a difficult and long work. –Kurt Volker is an experienced diplomat; he approaches the matter in a balanced manner. – And who is better, Nuland or Volker? – Both Nuland and Volker are experienced and effective diplomats. Each of them is successful in defending the interests of the United States. – But Nuland, after all, was constrained by her official position and duties to the State Department. – Tori and Kurt have a common feature: they are professionals who know how to achieve their goals. – Ukrainian experts who spoke with Volker say that Moscow is ready to accept the mandate of the UN peacekeeping mission acceptable to Ukraine, if Kiev fulfills the political part of Minsk in a strictly stipulated time. – These are the details of the possible Road map, which are discussed at the Volker– Surkov talks, as well as in the Normandy format. – So, does Surkov decide anything? – Volker represents America, while Surkov represents– Russia. They are representatives of two states that help resolve the crisis in Donbas. – Ukrainian experts who met with Volker in Ukraine say that the special representative of the State Department has greater flexibility than Surkov. Putin took the Ukrainian issue under personal control. – In this issue, I would not rely on the opinion of experts who never met with Surkov. – Will he keep his official position after Putin’s presidential election on March 18? – This is internal politics of the Russian Federation. – We hope for an early peaceful settlement. Negotiations are very difficult, because the situation in Donbas is very complicated. But, without a doubt, the Volker– Surkov design is the most promising negotiating mechanism. And, if they manage to quickly agree on a Road map for the implementation of the Minsk agreements, peace in the Donbas can be achieved in a matter of months. – How can Russia’s policy towards Ukraine change after Putin’s election? – The results of the presidential elections in Russia are largely predictable. Consequently, no significant changes should be expected. – That is, will the smoldering military conflict in Donbas with attempts to peacefully settle something continue? – I do not think that Russia will implement such a policy. I believe that Russia’s policy will be peace with Ukraine, good– neighborly, fraternal and friendly relations. – For hundreds of years, the fraternal peoples lived in peace, then suddenly war broke out. This is not God’s way, it must be stopped immediately. “The only person who can stop the war is Putin”. But apparently he does not have such a desire. – It is important that the Ukrainian government has desire to achieve peace. Otherwise, there will be no international support, progress and movement to meet. The desire to find peace, mutual understanding and ways out of the conflict must be mutual; an effective interstate dialogue at the highest level is necessary. – That is, can anything change after 2019 from the Ukrainian side? – Maybe before, let’s hope. – Let’s, probably, return to more mundane dates. What will happen after January 29, when the US promulgates the Kremlin list – a list of Putin’s closest associates against whom sanctions can be imposed? – Ukraine should be friendly with neighbors, it is necessary to trade with neighbors, and create work places, earn taxes through this trade. Then Ukraine will be competitive and will show economic growth, not drop. We lost a huge market, almost a third of domestic exports. – As you remember, there were several negotiating platforms: Zurich, Vienna, Geneva, Minsk, Astana (at the expert level), Belgrade, Dubai ... The place of negotiations does not play a special role, the result is important. Let’s hope that the result will be quick and positive. – You always systematically advocated early parliamentary elections. The next one should be held in October 2019 and, according to the law, the president cannot dissolve the parliament a year before them. Hence, there will be no early elections. – I would consider this issue more widely. Politics in Ukraine, in principle, has degraded. Instead of fighting ideologies – there is the struggle of slogans, instead of concepts – there is populism, instead of knowledge and experience – there is massacre, from which neither the country nor the people will benefit. Ukrainians understand this, so none of the politicians today have the trust rating over 10–12%. That is why a reset of power is inevitable. – Will you run for the next convocation of the parliament? – I have not yet made a decision for myself, but I know for sure that our political party will take part in all the elections that will be held – both presidential and parliamentary, and local, including in Donbas. – All the same, the presidential elections will be held earlier. Will you try for the president? – As I have already said, our political forces will definitely take part in the presidential elections. The candidate of the Opposition bloc, I would even call him a candidate of the South– East, even without the voters of the Crimea and Donbas, which traditionally support us, has a chance to win. Therefore, we will do everything possible for the success of our candidate in the upcoming elections. Answering your question, the one who will have the highest chances for victory will be nominatedgo to our polls. – There is such an old political tradition to call Ukrainian parties “Lovochkin’s projects”. Have you already decided who you will unite with and go as one column to the elections? After all, if you look at it, we have a lot of opposition parties who are treading on one electoral field. – I will support those political forces which will support peace and development. The main thing that our country needs is peace. Therefore, everyone should unite around this idea not only in the process of the election campaign, but most importantly – after both the presidential and parliamentary campaigns are over. As for the pre– election configurations, the main thing for the Opposition bloc is not the name, but the values: peace, development, unity, freedom, democracy and tolerance. These are our basic values. We went to the elections of 2014 with them, and people supported us. Our election campaign lasted for 28 days; time showed that we were right. According to our polls, a third of Ukrainians are ready to vote for the principles and goals of the Opposition bloc and our task is to win their confidence in the next election. It is important to unite all healthy forces that will be able to protect the interests of the voters of the Center and the South– East. Now, both in the parliament and in the government as a whole, there is a skew, the voters of the Center and the South– East are not sufficiently represented, which does not benefit either the country or the people. – In your opinion, how can the next convocation of parliament be changed? – I am convinced that the future of Ukrainian politics is in broad consolidation on the basis of common values. Hysteria and tragedies on the basis of politics should remain in the past; this is the mission of the current generation of politicians. Therefore, I hope that in the new parliament we will see a new coalition that will promote the peaceful agenda of our country’s development. – According to sociologists, the society has a demand for “Ukrainian Macron”. Can you see it? – Exploiting acute topics, conflicts, and even instincts is the basis of political technology, but it must go away, it does not work in what I call a policy of action when politicians speak things. I am skeptical about the idea of “Macron” in modern Ukraine. After all, any ‘Macron” that may appear is a person who has done nothing yet, and we will hope for his promises to do something. In today’s world, people are valued for their deeds, not promises. The Ukrainian voter is now in a state when he will assess politicians based on their deeds, not promises. – For already a year the Ukrainian political world has been full of rumors about the constitutional reform, they say, they are going to reduce the powers of the president. Does Ukraine need constitutional reform and in what form? – The Opposition bloc has consistently advocated the reform of the Constitution. We believe that a parliamentary model of governance will be more effective for Ukraine. Historically, in more than 250 Ukrainian cities, Magdeburg law existed, as well as other forms of collegial self– government, beginning with Zaporizhzhia Sich, ending with city dumas. Historically, the parliamentary model is closer to the Ukrainians philosophically, because there has never been a monarchy. In the current realities within the parliament, reaching an effective compromise seems preferable to me, rather than going against the views and ambitions of the next President. – For sure the main event of the last weeks of the 7th session of the Verkhovna Rada was the adoption of the so– called law on de– occupation or reintegration of Donbas. But neither de– occupation, nor reintegration is there. Is this the PR for the sake of PR? – This law marked the beginning of the presidential campaign. The authorities told the country that they would again go to elections under military slogans, with militaristic ideology. The fact that there is no mention of the Minsk process in the law, in my opinion, is a mistake. This can provoke a new round of confrontation, pushes into the background the issues of peace and war, which, in my opinion, are an absolute priority for the Ukrainian state and society. The authorities are turning the country into a presidential campaign, instead of dealing with issues of war and peace. At the same time, it is obvious to me that the main paradigm of the authorities of recent years is military pseudo patriotism, implicated in nationalist slogans – has become obsolete. Ukraine is a multinational, multicultural country, and, most importantly, a peaceful country. Therefore, the adopted law and the actions of military power are a mistake. – It would be a mistake to not extend the special status of the Donbas, because on the basis of this law the vital activity of the territories adjoining the conflict zone is carried out. Therefore, the fact that it was extended, we assess positively. Moreover, our faction voted for it. Regarding reintegration, our position is simple: any draft law created in the Ukrainian parliament should bring peace closer to peace, rather than alienate it, should support the work of the negotiators, in particular, Volker and Surkov. Any adopted law should be a continuation of the achieved diplomatic compromises. Then it brings the way out of the conflict and paves the way for peace, and this is the main task today. – Many of your colleagues in the parliament say that the law No.7163 was just a screen for extending the special status of Donbas. – The law on “reintegration”, which was adopted in January, was needed only for one thing: to put political emphasis for the future presidential campaign. It’s regrettable, but the parliament was drawn into the election campaign and accepts pre– election military laws. – And the Kremlin’s mouthpieces say that by adopting a law on reintegration, Kiev withdrew itself from the Minsk process. – This is bad and creates preconditions for other participants of the Minsk process not to comply with the Minsk agreements. The PACE Resolution adopted in Strasbourg recently demands that the law on reintegration amended, and the Minsk agreements and social guarantees for people who suffered from the war to be included. All participants in the process need to return to Minsk. This is not an ideal mechanism, but now it has no alternative. – Another event of the outgoing session was the introduction by the President the submission to the appointment of a new head of the NBU. Will you support it? – We have been being in opposition since 2014. Moreover, for the first time in the history of Ukraine, the opposition did not receive any control functions within the parliament. This is the discrediting of Ukraine, the discrediting of Ukrainian democracy and parliamentarism. As for our position on personnel appointments, since 2014 we have not supported the personnel decisions of the authorities. For this purpose, there is a coalition in the parliament. It should be responsible for what is happening in the country, including for the adopted personnel decisions. 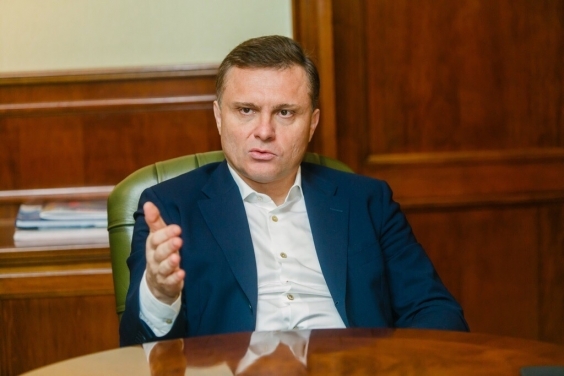 Given the ineffective policy of the NBU in recent years in terms of targeting inflation, maintaining the stability of the Hhryvnia, approaches in prudential supervision, we do not see the possibility of supporting candidates from power for the post of head of the NBU. – The Opposition bloc consistently supports the need for judicial reform. Justice should become accessible to Ukrainians. Courts in Ukraine should help fighting corruption, and not cover it. We support the idea of the Anti– Corruption Court in principle. Moreover, we have prepared the Opposition bloc draft law on the Anti– Corruption Court. At the same time, we remember that the creation of the Anti– Corruption Court is an obligation of the coalition, the current authorities to international partners and donors, the responsibility for the adoption of this law lies with the authorities. – First of all, before the IMF, which suspends cooperation with the countries 8– 9 months before the elections there. – For foreign debts, this is what Ukraine needs to pay out: in 2018 – $ 3.42 billion, in 2019 – $ 6 billion, in 2020 – $ 6 billion, in 2021 – $ 5.7 billion. In total, it is $ 21 billion. Ukraine does not have sufficient reserves and a surplus of the balance of payments to cover such external payments. Not to mention the decline in exports. The balance of payments for 2017 was negative, and if Ukraine remains without external financing, then bankruptcy may come. Therefore, the government is forced to borrow money from the IMF, to find them on international markets. For this reason, it strongly depends on external creditors. What is the way out? To improve the external environment, that is, to restore the traditional markets of the CIS countries for us, to increase the number of jobs and economic growth, and to improve the balance of payments. If all this is not done in the near future, Ukraine will have no alternative but external financing, which leads to global external dependence of the following governments. Therefore, people should understand that when the authorities joyfully report about a new loan, it is not a story from outer space, it concerns every Ukrainian citizen through an increase in tariffs, retirement age, paid medicine and education (in the long term), tax increases. Ultimately, through these mechanisms, every Ukrainian will pay public debts from his own pocket. – For receiving the next tranche of the IMF, it is necessary another increase in gas prices and the introduction of changes to the already adopted pension reform. But it is unlikely that on the eve of the elections the government will make unpopular decisions. – These are not the last requirements. Gas prices will be reviewed continuously, until they reach the level of coverage of real costs, and they are great. First of all it concerns transportation, as the system has not been modernized for many years, and no one has learned to carry gas in buckets yet. The same applies to electricity. To reduce costs and, accordingly, that people pay less, investments in modernization are necessary. This thing is expensive and investments come only in a stable economy. In order to reduce the bill for the payment of a communal apartment in the Ukrainian family, it is necessary a modernized infrastructure, efficient energy saving. And for this, peace is needed, without peace there will be no investment. The cornerstone of the investment adventure is peace, as long as there is a war there will be neither development nor improvement of life. – Well, let’s finish our interview with the question about “Northern Stream– 2”. Together with the “Turkish stream”, they will put our City Telephone Exchange on the brink of survival. The one that is there, with their launch, our pipe can be dismantled for scrap. – Russia has bypassed Ukraine from two sides. First, the two “Northern Streams”: the first thread is already built; the second line in the near future can be obtained by the appropriate permits of Germany. But the big problem now is the “Turkish stream”, which has proceeded for more than 700 km, and most likely, too, will be launched. “Turkish stream” and two “Northern streams” can reduce the amount of pumping through the Ukrainian gas transportation system below the cost level of the pipe. Ukraine will lose billions of dollars in transit. All this is the result of the war and the wrong strategy of the leadership of Naftogaz.